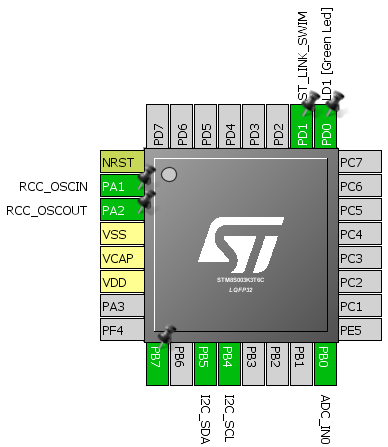 This post is the continuation of the first post on STM8 microcontrollers here. Instead of polling for ADC’s end of conversion (EOC) state, it is wise to use ADC interrupt. Just as with any hardware peripheral, interrupt methods make a system highly responsive. Interrupts like these free up the CPU for other tasks. However, it is up to the coder to determine interrupt priorities and look out for situation that may cause too many interrupts to be processed in a short while. This example and the first ADC example is all same except for the interrupt part. Note the last three lines below. 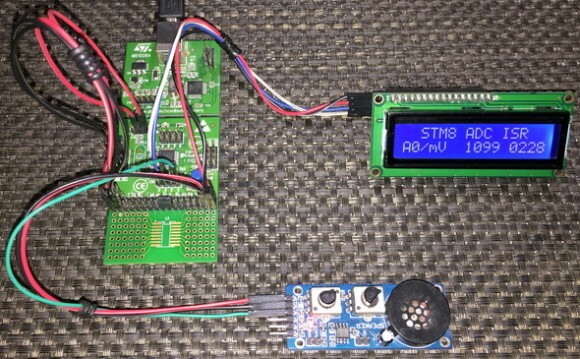 As can be seen, End-of-Conversion (EOC) interrupt has been enabled along with global interrupt and the ADC itself. In the vector mapping file, ADC interrupt is set. 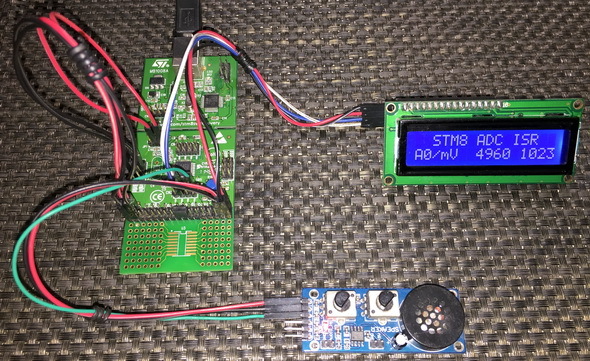 When ADC EOC interrupt triggers, the ADC data buffer is read and the EOC flag is cleared.